Visual Studio Code>Themes>Ayu One Dark ProNew to Visual Studio Code? Get it now. Combination of Ayu and One Dark Pro with a few edits for myself. I personally use Mirage Bordered. 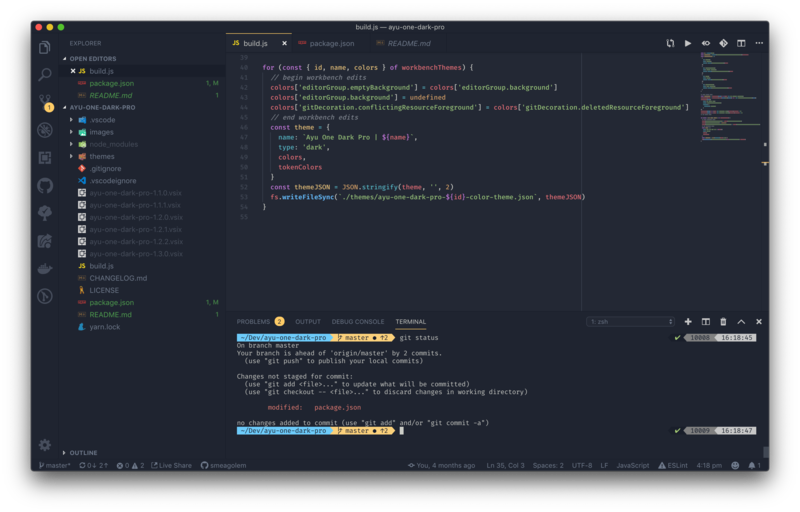 The syntax highlighting is One Dark Pro Bold. There was way too much red.